Registrations are now open for the Sun Run & Cole Classic with a brand new event for kids! Sydney’s favourite sporting and fitness weekend will return to the stunning Northern Beaches on Saturday 2nd and Sunday 3rd February 2019 for The Sydney Morning Herald Sun Run & Cole Classic. Avid walkers and runners will kick off the fitness festivities, pounding the pavement in two spectacular Sun Run events; the 7km and 10km fun runs along the Northern Beaches’ picturesque coastline. Both distances will start at Dee Why Surf Life Saving Club and finish beside the iconic Manly Life Saving Club. Following a highly successful inaugural year, which sold out in record time, the Aquathlon will return in 2019, giving participants the chance to challenge themselves across both running and swimming, in one event. Entries are capped at 350 so enter early or risk missing out! 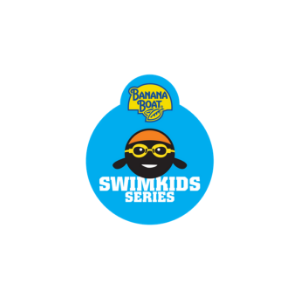 For the first time in 2019, the iconic weekend event will introduce a brand new event for kids, the Banana Boat SwimKids Series. Encouraging little swimmers to get involved in one of Australia’s largest ocean swims, mini competitors can choose from a 100m swim/wade event for 7- 8 year olds; a 200m swim event for 9 – 10 year olds; and a 300m swim event for 11 – 12 year olds. The range of short and challenging distances offers something for everyone and provides a way for the community to celebrate the ocean, get fit and have a bit of fun at the same time. The event will also feature a village expo on Manly’s famous promenade for supporters and participants to relax and enjoy throughout the exciting weekend.